This week's theme challenge at Always Fun Challenges was "watercolors. 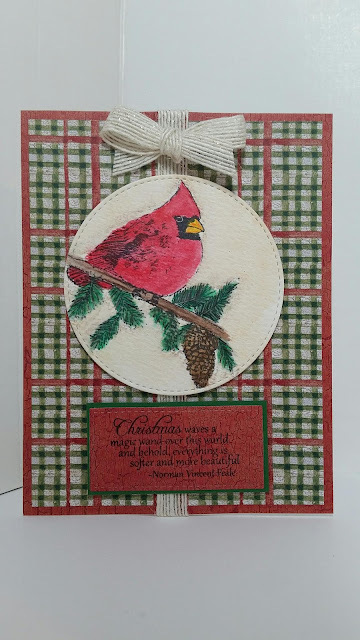 I must say, I'm not very proficient at watercolors but I did give it a try using the Christmas Joy stamp from Sweet n Sassy Stamps. I used MFT stitched circles and rectangle to cut out elements and added a ribbon and bow.